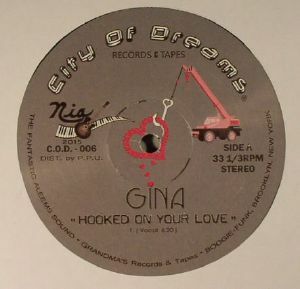 GINA Hooked On Your Love vinyl at Juno Records. City Of Dreams' boogie, soul and funk reissues rarely disappoint. Predictably, this is another killer. 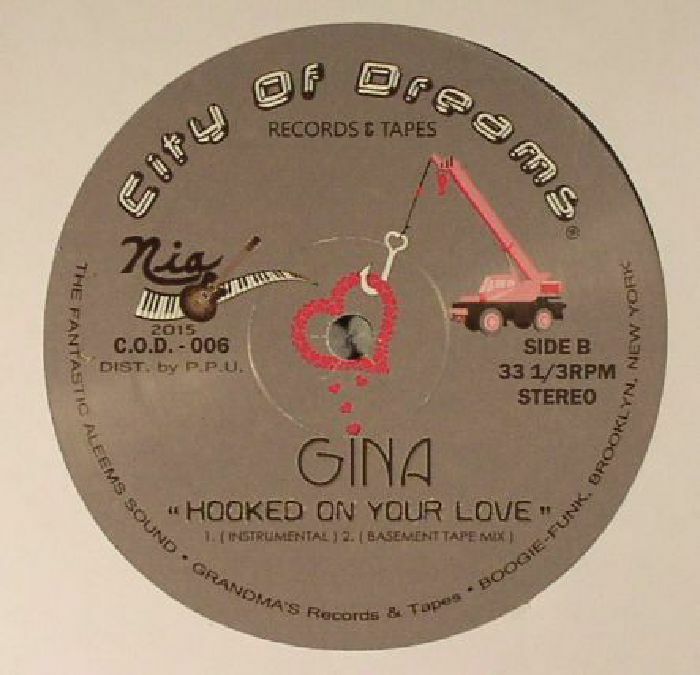 Gina's "Hooked On Love" remains something of a delicious oddity: a cover of the Leroy Burgess-boasting Aleem classic of the same name, sung by mysterious vocalist Gina, and produced by the Aleem brothers themselves. While their original version was a surging, piano-heavy stomper blessed with Burgess's trademark vocals, the Gina cover re-casts it as a breezy, synthesizer-heavy boogie/ pop hybrid in the manner of very early Madonna recordings. It's a fine record, and comes accompanied with not only the superb original instrumental, but also a previously unheard "Basement Tape" version rescued from the archives.